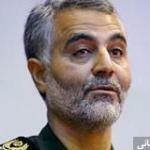 Iran’s Revolutionary Guards Corps (IRGC) reports that Senior Commander Qassem Soleymani has only suffered “some minor injuries” in Syria. The IRGC has lost several members in recent weeks in Syria. 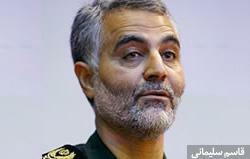 Recent reports indicated that Qassem Soleymani, Commander of the IRGC Quds force, which is responsible for its extraterritorial operations, was killed in attacks in Syria. AFP quoted informed sources and the Human Rights Watch saying Soleymani suffered minor injuries in Syria. The Syrian Human Rights Watch indicated that Soleymani was injured during operations near Aleppo. The Fars News Agency quoted IRGC commanders rejecting all reports regarding Soleymani’s death, countering that he is in complete health and engaged in the “Islamic Resistance against Takfiris [ISIS forces] in Syria and Iraq”. Since September, the Syrian government has been carrying out continuous operations in order to reclaim Aleppo from ISIS forces. Iran has also increased its presence in Syria through the IRGC but has maintained that its contribution is only at the advisory level.